This post is sponsored by LARABAR. All opinions are my own. Running is a great form of exercise and I have been enjoying going on some short runs this summer season. I just got some new running shoes which is helping to motivate me as well. I usually run first thing in the morning so I do not usually eat before I run. Some people swear by eating before a run though. 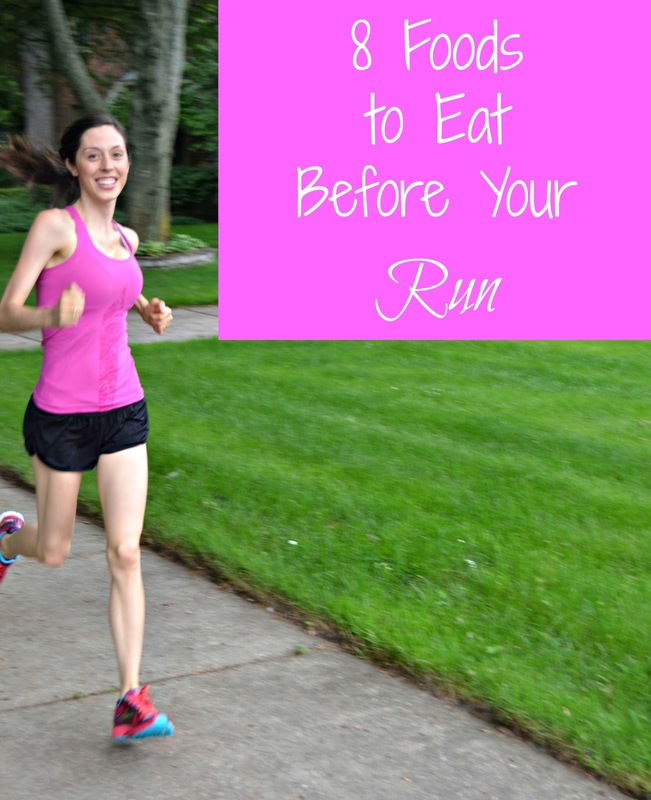 If you are going longer than an hour, I would say that you do need some extra nutrition before your run to fuel you through. Eating the right foods before going for a run can help give you the energy that you need to feel great throughout your workout. Skip foods that are overly heavy and may make you feel weighed down such as fried or greasy foods. You should focus on eating an overall balanced diet including fruit, vegetables, beans, grains, low-fat dairy and lean proteins. Hydration is also important to keep you feeling your best. Drink water as your main liquid choice and aim for 8 glasses per day. Also, when I was running a lot before I found out I was pregnant, I liked having caffeine before a race. I didn't have any for a training run but thought that it gave me a good boost of energy for a race. I usually stuck to tea but coffee works too. Raspberries are full of antioxidants and high in fiber. They are hydrating and are light enough to eat before a run. Raspberries are also low in calories with only 52 calories per one cup serving. Blueberries are another great choice because they are full of healthy carbohydrates and are also rich in antioxidants. Dried fruits such as raisins, cherries, cranberries or peaches will provide you natural sugar, which gives energy for a run. Skip the versions with added sugars and oils. Stick to recommended portion sizes since dried fruit can be high in calories. Nuts are filling and full of fiber. Great choices include pistachios, almonds and walnuts. Nuts are rich in vitamin E, magnesium and potassium. An even better choice is nut butter such as peanut butter or almond butter. Have some on a piece of toast, bagel or a banana for some pre-run fuel. Some people have an issue having nuts before a run so do whatever works for you and helps you feel your best. Greek yogurt is high in protein which can help you feel fuller for longer. It also contains probiotics which are the good bacteria in the body. Consuming Greek yogurt is beneficial for healthy gut flora. Greek yogurt is also rich in calcium and vitamin D, which is beneficial for your bones to keep you strong for running. If you have trouble digesting dairy products, try yogurt made with soy milk, almond milk or coconut milk. You've heard "an apple a day keeps the doctor away." Well, apples are not only good for health but are also a good pre-run snack. Apples are mainly made up of water so they are hydrating and give you a boost of vitamin C and fiber to hold you over until your run is complete. One cup of cooked oatmeal makes a great running meal or snack. It is light enough to not weigh you down but the fiber content will help keep you full. A small cup of oatmeal with diced fruit would be great for fueling you through a long run. Bananas are the perfect pre-workout snack for many different exercises including running. They are high in potassium which works with sodium to keep you well hydrated. Spread a banana with a bit of peanut butter for a good mix of carbohydrates and protein. 8. LARABARs- LARABARs are made with very few ingredients and are great for pre-run fuel. They are rich in carbohydrates to help provide the energy you need to make it through your run. For example, the pecan pie flavor has only three ingredients: dates, almonds and pecans. It doesn't get simpler than that. The bars come in many different varieties and flavors. Some neat ones are the key lime pie, banana bread, apple pie, cherry pie, carrot cake, coconut pineapple cake and more. At LARABAR®, we believe that the foundation of a sound mind, body and spirit is derived from what you eat - and what you eat is most delicious and satisfying when it's in a whole, natural state.